Here you can find an updated version of the italian post about farm jobs in Australia. I wrote this post for two reasons: firstly, I wanna try to reach some english users, secondly I add some important infoes that I got in the last months. So, if you have the patient to read it all, I am quite sure you can find some good information. English is not my native language,so please be kind. It must sound really weird for an english read this post and I guess there are also many mistakes. Anyway, if you find some, let me know in the way that I can improve my skills and you can have a better guide. When I got back from my trip, I found out that many people were interested in coming in Australia. The first question was always the same: are really so high the wages in Australia?Then, is it really so easy find a job and save a lot of money with that? After a bit talking, again, So, is really Australia full of these opportunities? I am used to answer with a big smile, “yeah, it is all true”. If you are here, and if you are reading my post in this bad english, it means that you already know what I mean. The first information you can get about Australia is usually that there are many kanguroos and the second one is that, in there, you will earn a lot of money. In other words, as many like say, Australia is the new America. I personally don’t like this comparison, but you get the idea. As well as in America in the last centuries, many people tried to go working there, someone were lucky (and able) to get a big fortune, someone else, instead, moved from a poor country as a poor, in a rich country as poor. To explain myself, you can go to Australia, but it won’t be easy find a really good job where earn a lot of money, instead it is quite easy find a basic job (and the australian wages are good even for this kind). This makes Australia the perfect base for travelling around the world (find the lowest job there,with enough hours, and with your saving of a months you will have enough for travelling in Asia for three ones). It is even good for living, but the expact is not so simple as you could think. Except maybe some few nationalities, everyone else has to get sponsored to have a permanent visa. For doing that, you must have experience in a high requested job. By the way, I am not here to talk about everything, but to talk about the farm job. In this post i will talk about: how get a farm job, so where go, when go,and who ask to; the different kinds of farm job, wages and thoughness, and how to get the second working holiday visa to stay another year in Australia. 1)Buy, or hire, a car. Go to the right place, in the right moment. And ask all around for farms and if they know someone that is looking for workers. This is the same way that you can do in a city wich two big differences. Firstly, the petrol is expensive, going around for towns everyday can really make cry your wallet, you couldn’t be able to manage it. Secondly, it is really risky. Again, you must be quite lucky, because you have to know where there is work, where are looking for people, etc. Australia is big, you could go until Queensland, and miss very good opportunities in Tasmania or in SA. Anyway, I believe that this is the best way to find a job. If you are not really unlucky, I would say that in maximun a couple of weeks, you should find something. In addition, it is easier find good wages in this way, regular, not cash in hand, with wages even over 20$ per hour. 2)Get in, thanks to some contacts. This obviously the easiest way to find a farm. You can get a job without move a finger, thanks to a friend or a person that you have met during the travel. In this case, you know already the condition of the farm (if it is well paid, hard the job and if the boss is a dickhead or not) and you can go there with the certain of the job. The first farm job I found was thanks to a friend. In there, the paid was much better of the farm I found by myself. The owners were australian and I had just to go to the farm to get the job. At the end, I did’t go, just because my money were finishing and the work would had being began in a month. What I advice is to ask to everyone, meet and keep in touch with as many persons as possible and take attention especially to the people who plan to go farm. 3)Looking on gumtree. In addition to the one before, in the case you don’t have money enough to buy a car, you should always take a look on gumtree. In that way, you will move just if you find a job. I found the farm where I worked for three months thanks to that. The difficult thing is that in the same time of you, there are many backpackers 24\24h looking for job positions. Win against all, is not easy and it seems more as a lottery. Anyway, if, for example, you are in Sydney, don’t look just at NSW jobs. Be ready to move also to the other side of the country. The boss will wait for you, also a week or two. So, call and call! Don’t care if you are 3.000 km’s from the farm! 4)Take a train and go to a working hostel. This is the most risky solution and you could easily waste your time. Surely, before leave the city, try to contact the hostel. Ask them how long you have to wait to get a job and usually how many hours you may get. Remecmber, it is really pointless find a farm job if you work three times per week, because the working hostel are always quite expensive (150$ per week), they ask you maybe even the transport to go to the farm, in addition you have to live. If you work three days, you could get even just 300-400$ week, that is really bad. I heard also about many people working for weeks just covering the expenses. In addition, many working hostel give you contracts with piecework pay rates. This kind of job can be well paid just for the people with a long experience in the same movements. In other words, with this kind of payment, you could work for 9 hours, give all yourself, but get just 70$. In contrast, with experience and if you are very fast, you could also make 300 or 400$ in a day. Actually I never heard about backpackers getting those wages, they get easier the fist amount, ahha. So I advice to avoid it, and to go to a working hostel just if the other solutions didn’t work. As you probably know, Australia is really BIG. With big I mean huge. Australia has the size of the States with the difference that has ten times less population. It means that the are many part of the country without a single person, and actually the population is really focus in the urban’s areas. So. farm are almost everywhere along the coast, in each country. I will tell you what I know about every ones. Western Australia is the biggest state and the less populated. It is the state that offers more job opportunities, especially if you are ready to move into the middle of the nowhere. In WA, farms can be found either on south or on north. In the north there are towns like Carnarvon or Kununurra, wich could be good spots. I’ve personally never been there, but I heard about many persons working in there. I believe that in there is not so complicate find a job all around the year. Controversely, it must be ones of the hardest and worst places where you can find to work. In summer is very hot and wet, in winter is really dry, but still very hot. Instead the night, I guess is really cold, so you could easily wake up in the morning with few degrees unless reach in few hours 40 degrees temperatures. In the south is much more difficult find a farm job (of course, is much more smaller and the weather is much more better). I would advice Margaret river. Margaret river is one of the most beautiful place in Australia. Ok, the town is nothing special (in the average of the others australian small towns), but all around there are farms. In that case are all vineyards. So, it means that, unlike the north, in here you can find work just some months per year. (for example: 3 months, one month or 2 stopping, 3 months working and so on). The bad point is that it is really close to Perth, many backpackers look for the fortune in there, so it is not so easy and you must have a good timing, anticipating all the others. South Australia is the place where I worked in farm for three months. For this reason, I usually advice this state to everyone.In fact, SA is literally a farm state. Try to look around Adelaide, there is nothing else than farms. Many kind of farms from potatoes untili onions, from apples to grapes, ah i forgot, of course also grain. There are many farms and not so many backpackers. This can be explained by the fact that the people are used to go to Perth, to Sydney, to Melboune or, atlast, to Brisbane.. nobody go to Adelaide at the beginning. So, during a peak season, I think that SA is the best place where be for doing a farm job. 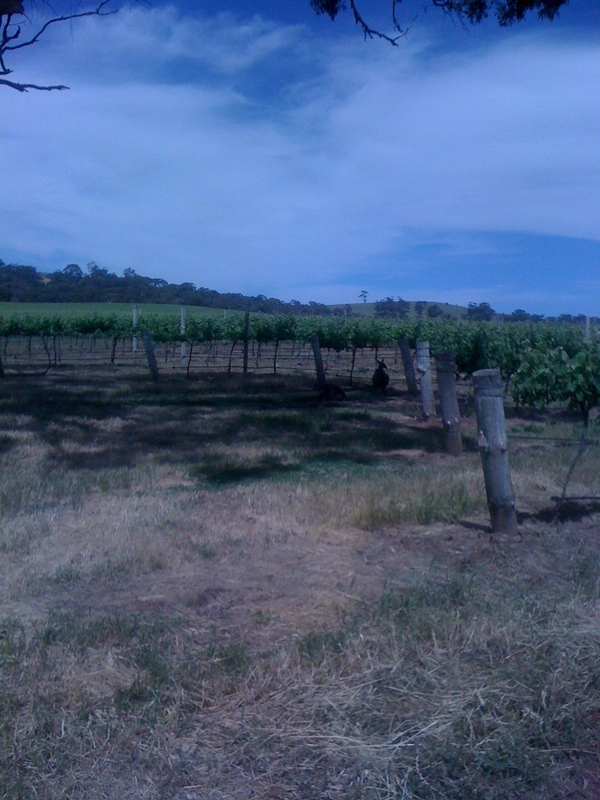 In my opinion, the best places in SA are Clare valley, Barossa valley and Mclaren valley. Go around those and for me you will find something. Victoria, with Melboune as capital city, is one of the smallest state in Australia. Even though, away from the coast there are some good job opportunities. Mildura is famous all around Australia. It usually really crownd and for that you don’t have usally much work. I heard many stories about Mildura, and I got some friends who worked in there. What I could say, someone says that was a completly waste of money and time, someone else says that at the end they saved some money and got the 3 months for the second Whv. Anyway, I advice it just for disperate souls. There are also many others places all around Mildura, like Swan hill, but, again, if I were you, i would avoid this area. Too hard find something good without contacts, and the working hostel are used to rip you off. But who knows, maybe if you are in Melbourne, going in there could be the best solution. All the persons I heard that where working in NSW where getting regular paid, not cash in hand or irregular contract. The farms are usually “smaller” here, less big company and more families. For that, it is the place where go volunteer or where you can get meal, accomodation and also a paid. I personally don’t know much about farm in NSW, but if you are in Sydney, maybe is easier go to the border with the Queensland and look there. The best way to find a job here is ask to an agency, I heard good words about TAW, but you could just go to one in Sydney and ask. If you are a novice, you believe that Queensland is the best place where go farm, maybe the only one. Of course, it is not. Many years ago, maybe you would be right, but now something is changed. Queensland is still the country with the largest number of farms. In addition, it should be work all around year, with a very high request in the bananas farms. The main problem is that around March, everyone leave Sydney to go to north. To make you understand, I never met a person been in Australia, without have been in Queensland. This means more workers, so less work for you! Otherwise is true that if you go during the wet season (Oct-Feb), the situation should change and the possibilities greatly increase. But remember, in that way you will lose the australian summer :(. If you have a car(without caring of the petrol), the areas around Cairns are good. Along the coast there are many others good spots. Firstly Ayr and bowen, secondly Stanthorpe, but I think that even Yeppon is a good town. What about Bundanberg? To explain you, I say that is Mildura, but in Queensland. You can pretty easily find a job, but the conditions are usually very bad, with a really bad paid. 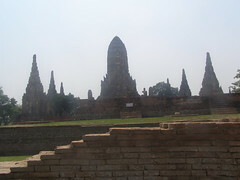 The good thing is that you will meet many others backpackers in your condition, in that way you can enlarge you network. Probably the state with less farms in Australia. Just Katherine and Darwin; just Mango; just from the end of September until the middle of December. Mango usually is well paid (an avarage of 2$ per hour more than other kinds), but in few weeks it will probably get you sick (read about the effects of mango picking). Not many people like do this job, so you could have high chances. Tasmania is a big mistery. I haven’t got many info about it, jsut friend of friend reporting me. It seems be full of farm either and the paid are even better than in the continent. Many backpackers stay away from it, because the ferry cost quite a lot(but there are cheap flights). I believe that in Hobart there is atleast a working hostel, and could be a good base. Another way to find job there is have the car, going ask around. For the bravest people, hitchhiking. Hitchiking in Tasmania is really easy, the people are usaully very friendly and they will help you as much as they can (i think also with the job). Check the harvest guide for that, it must be like an holy bible for you! Then, before go to a place try to send few a-mails to the working hostels. It is important ask how long you have to wait if you go there. In this way you understand if it is a good moment to go there. Moreover, you have to know that each year the peak moments change. So, one year can begin at May, and the year after at July. Nobody knows. So, the best way is have a big network of people all around Australia. Another question that you could have is wich farm job is the easiest and wich one is the hardest, moreover, how it should mostly be my duty. It has to be said that even the easiest job is not really an wasy walk. However, there are big differences between them. Firstable, the hourly pay is much more better than the piecework one. The reason is obvious. With the hourly pay you can go often to the bathroom, you can hidden yourself somewhere, you can take a rest as many times as you can ( you have to look to your supervisor, but if you are lucky it won’t care too much). Controversery, with a piecework pay, you have to work hard if you want earn something. It means hard work everyhours, everyday. The hardest jobs are probably banana, watermelon, and mango picking. The easiest are grape and apple picking. In the middle, there are difference job, as, for example, pruning. Anyway, to undestand if a job is difficult, you have to consider three criteria: have you to (chinarti)? How much you have to walk? How much effort you have to do? The most difficult part is, by the way, the phsicologic part. Doing the same things, every minutes for hours and days, it can get you mad quickly. You could live in a holeshit accommodation, and waste time in reaching the farm. How you probably know, the minimun hour pay rate in Australia is 19$ (minus the taxes). Find a regular job, anyway, it is not so sure as you could think. Especially in farm, it is really easy find bosses that are really using workers paying badly, cash in hand, and worse, not even paying at the end of the week. It is a wild world out there. Except unlucky cases, usualluy in farm you will earn from 12\13$ per hour to a maximun of 23$ per hour. You could get paid following how much you picked. In that case, you may earn from 40-50$ until 300$. How I said before, if you are a backpacker, your english is not the best, don’t expect these amounts. Usually, the avarege is around 15$ per hour and 120-130$ per day. Of course if you find a good job, in a good area (this means in the middle of nowhere), in an australia farm with australian owner, with a contract, you might earn 20-21$ per hours. Just consider that I was working for 56 hours a week and make you conclusion. Yep! you can earn over one thousand dollars per WEEK. I wasn’t that lucky. My pay rate was just 14$ per hour, paid cash in hand. Despite it, I never took a day off, I always tried to work all the hours. I paid my accomodation 60$ (I stayed in a campsite sleeping in my car) and for the food maybe 40$ per week (we were in many, so sharing the expenses of the food). In other words, I was used to save about 600$ per week. And how I said before, mine was also one of the worse pay rate you could find. So, is better work in a city or in farm? It is difficut to answer at this question. In these months, I changed my opinion few times. Considering just the basic job, I would say yes. In a city to get the same amount of hours you must have two or three jobs. If you don’t speak english very well, the pay rate could be the same of mine (or even lesser). If you are looking for a skill job, then it is sure that in a city the wages are higher. You can work maybe “just” 40 hours per week. But with a quite good pay rate, you will earn something like 25$ per hours, so 1000$ per week. To do that, you must have already experience in good job (i.e cook) and speak already fleunty english (I mean, be able to have a simple conversation in english). In farm usually is very difficult earn this amount, but you will work much more hours. Working 9 hours per day, for 6 days a week will give you a wage of 1100$ (if you earn 20$ p\h). In addition, there is much more difficult spend money in alchool and in hanging out (usually, but not always). Second working holiday Visa, another year in Australia! Esattamente, to get another year in Australia you need three months , or 88 days, of farm job. An hell for many, a good opportunity for others. Therefore, if you want get another visa you have to do these days. It is obviously better work for three months than 88 days (because the first count even the days off). If you can’t manage to find yourself working in a farm under 40°, you can find others ways, less legal. First, you can do woofing (free work in change of accomodation and meal). In this case you can get the visa in a less time. Many owner are kind and feel guilty because you are working free. So, can happen that they give you the second visa after few weeks working for them. In less than a month, you can have their sign. Second, you can ask anyway in the farm where you are working. Usually they don’t like give the visa earlier (because they need workers that stay as much as possible) but you can always ask. Especially if your boss is australiani is unlike that he says no to you. Anyway you have to work atleast a month . You can get the visa also without work a day in a farm. It is very risky, and usually after a while you get catch (the push you out from the country). So, it is not legal, but you can find someone that sell you the farmer’s certificate. There are many in Queensland doing that (where there are many italian farmer, mmm, just a coincidence ehhe). Do that, just if you are really desperate and you are ready to leave the country from a day to another. ← If you’re going to … Byron bay. ehilà, sempre io a stressarti! due quesiti. dici che se trovi ad esempio lavoro su gumtree, il boss ti aspetta anche una o due settimane, ma se è così pieno di backpackers che guardano il sito, perchè dovrebbe aspettare me così tanto se avrebbe già il ricambio? solo se hai voglia mia diresti come funziona? chiami il numero e chiedi vorrei quel posto vero? o devi amndare curriculum via email? altro quesito è il dormire in van. hai detto che lo hai scelto per non dipendere da ostelli ecc ma una domanda stupida mi viene da fare. dopo tutto il giorno in farm sarai sporco e sudato, dovrai lavarti tutte le sere. non credo che la farm ti faccia lavare, e se non vai in campeggio o stello come ti sei organizzato?